Merrick D. Elias, DO FAAD is a Board Certified Dermatologist and a Clinical Assistant Professor at Nova Southeastern University’s College of Osteopathic Medicine in Ft. Lauderdale, Florida. His interests include all facets of adult & pediatric medical dermatology, surgical dermatology, and cosmetic procedures (including Botox®, Kybella®, Juvederm®, Restylane®, Bellafill®, Sculptra®, Radiesse®, laser hair removal, laser pigmented lesions, laser spider veins, photo and laser rejuvenation, and chemical peels). The two newest body sculpting treatments he performs are Cellfina® and Ultherapy®. Patients can visit him at Elias Dermatology® in Pembroke Pines in southern Florida. Dr. Elias earned his Bachelor of Science Degree at Cornell University in Ithaca, New York. Prior to medical school, he attended the University of Miami where he completed a Post-Baccalaureate Pre-medical program. Subsequently, Dr. Elias earned his Doctor of Osteopathic Medicine Degree from Nova Southeastern University in Fort Lauderdale, Florida. He then completed his Internship at Palmetto General Hospital in Hialeah, Florida. From there, Dr. Elias embarked on a fellowship in Non-invasive diagnostic imaging techniques of pigmented lesions and related cutaneous oncology at Memorial Sloan-Kettering Cancer Center in New York City. In addition, Dr. Elias trained extensively in Dermatology and Cutaneous Surgery during his residency at the North Broward Hospital District/Nova Southeastern University. Upon completion of his Dermatology residency, Dr. Elias worked in several successful practices in South Florida. Shortly after that, Dr. Elias and his brother opened Elias Dermatology®. Dr. Elias is passionate about raising awareness of skin cancer and sun protection. To that end, he regularly volunteers for community skin cancer screenings. Additionally, he lectures frequently and has published numerous academic papers. Dr. Elias is a fellow of the American Osteopathic College of Dermatology and a member of many local and national professional societies including the American Academy of Dermatology. He is most proud of being selected as a writer for the resident in-training examination. 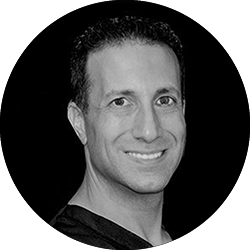 An avid sports enthusiast, Dr. Elias also enjoys music, fine dining, traveling and most of all, spending time with his family when he is away from work. Dr. Matthew J. Elias, DO FAAD is a prominent dermatologist serving southern Florida out of Elias Dermatology®. Patients from Ft. Lauderdale and Pembroke Pines in South Florida can visit Dr. Matthew Elias for a number of skin conditions related to both health and appearance. He performs chemical peels, gives Botox® and Juvederm® injections, and conducts adjacent tissue transfers. Patients with skin cancer and other blemishes can benefit from removal procedures ranging from shaving to complete excisions. He performs various surgeries to remove skin tags and cancer. His cancer screenings detect issues early, so patients may have the problem corrected before it worsens. Dr. Elias also treats allergic reactions, autoimmune diseases, fungal infections, burn injuries, eczema, and lesions, to name just a few. Dr. Matthew Elias supports his practice with a strong educational background, beginning in 1999 when he earned his undergraduate degree from Tulane University in Louisiana. He went on to graduate from medical school at the Nova Southeastern University College of Osteopathic Medicine. He finished his residencies at Boward General Medical Center and SUNY Downstate Medical Center College of Medicine. He is a member of American Osteopathic College of Dermatology, American Academy of Dermatology, American Society for Dermatology Surgery, American Society of Mohs Surgery, Florida Society of Dermatology and Dermatological Surgery, and National Alopecia Areata Foundation. Dr. Elias believes a successful and competent medical practitioner must possess both a heartfelt devotion towards assisting all human beings and a tremendous yearning for knowledge. Tatum Nolan, PA-C, MPAS, is an NCCPA board certified and state licensed Physician Assistant. Tatum received her Bachelor of Science degree from the University of Central Florida where she graduated with honors, and pursued her Masters of Physician Assistant Studies at the University of Florida. Tatum works extensively with both Dr. Matthew Elias and Dr. Merrick Elias in all facets of medical and cosmetic dermatology. With a passion for lifelong learning and patient education, her values perfectly align with the patient-centered approach at Elias Dermatology. She offers complete patient care for all ages and is dedicated to keeping your skin beautiful, healthy, and skin cancer free.